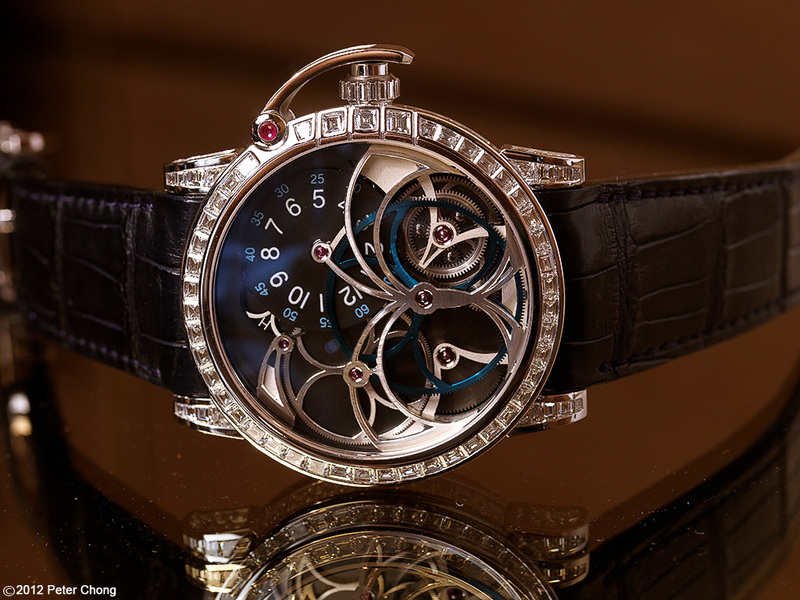 The Opus Project by Harry Winston is a remarkable initiative. 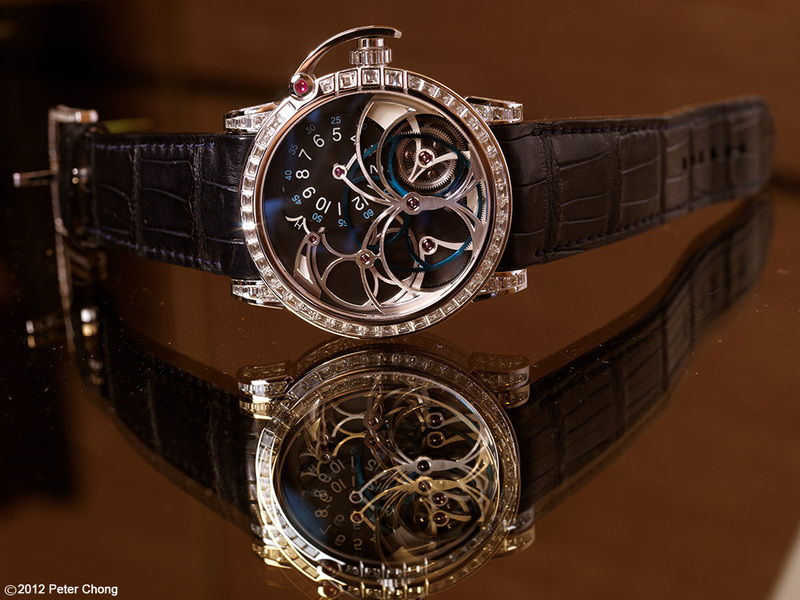 Started some 12 years ago, now we are at edition Opus 12...the project uses the considerable resources of the Harry Winston company in cooperation with master watchmakers to create interesting and very innovative designs, marketed by Harry Winston under the Opus umbrella. 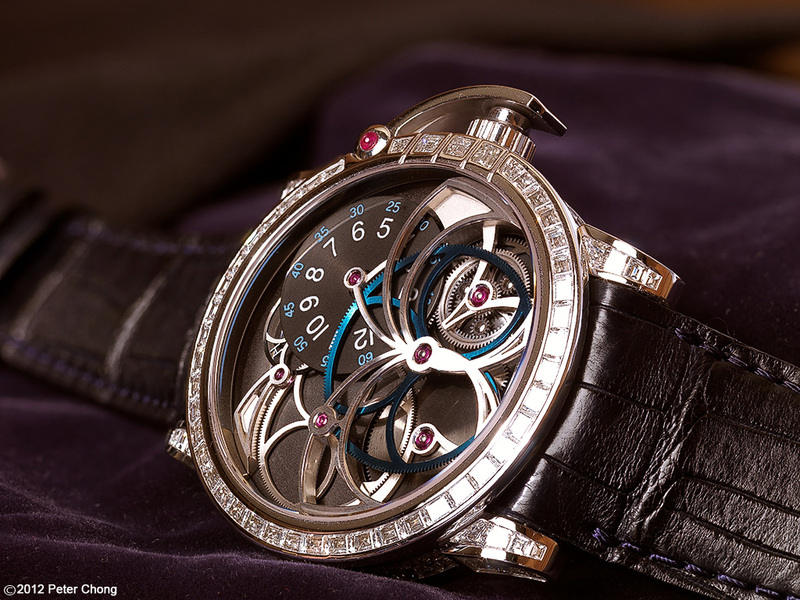 Some incredible timepieces have debuted as such...amongst my favourites, the Opus 3, Opus 5, and Opus 6. Today I feature Opus 7, a collaboration with Andreas Strahler. I understand this is probably the last of the 50 in the series to be made, in white gold, and with diamonds gracing the bezel. The sculpted bridges give the impression of a butterfly's wings...catching the light, sparkles almost as brightly as the brilliant diamonds. Click on the image to get a wallpaper sized image at 1920 pixel width. 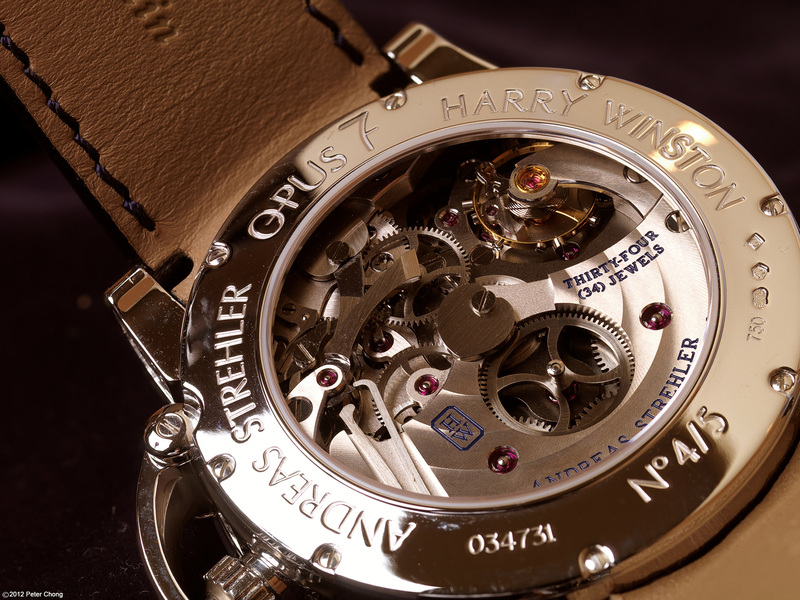 The movement, is quite magnificently finished...manually wound, and showing the hours, minutes and power reserve by pressing the crown. Pressing once aligns the hour number with the wheel's triangular indicator at 10. Press a second time, the minute number aligns with the triangle. And a third push shows the power reserve. Interesting. But for me, the magic of this beautiful timepiece is in the dial...magnificently executed, very beautiful.